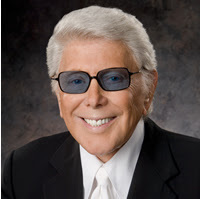 A lot of famous people have died in the last few days starting with Marvin Zindler, the Houston-based TV news personality whose claim to fame was exposing the infamous Chicken Ranch brothel in La Grange many years ago. The movie “Best Little Whorehouse in Texas” was based on the Chicken Ranch story and one of the characters in the film is based on Zindler. I became familiar with Zindler from watching him on TV whenever I was in Houston visiting my in-laws. In his later years, he was mostly known for his hyped up restaurant health inspection reports during which he delighted in knocking establishments for “Slime in the Ice macine.” The news reports said he did his last newscast from his hospital bed the day before he died at age 85. On the same day, it was reported that the reknowned director Ingmar Bergman died. That brought back memories of my college film class when I was forced to watch his movie “Cries and Whispers.” It was horrible. Just awful. Yuck! It was the one film in the class that I truly disliked. I’ve never seen any of his other films, so I hesitate to dismiss all of his works, but I clearly did not understand what the film critics saw in that particular movie. Finally, today I noticed the NYTimes had an obituary for Norma Gabler, who with her husband led the successful crusade to influence and intimidate school textbook publishers into reflecting their conservative viewpoints. What struck me from reading the obit is that I would have agreed with the Gablers on many points. The thing that first set them off was a textbook that omitted the words “Under God” from Abraham Lincoln’s Gettysburg Address. I agree that was an outrageous abuse of “political correctness.” Likewise, when they discovered other inaccuracies in textbooks or noted imbalances - such as the famous case where a history textbook spent more time on Marilyn Monroe than on George Washington - I could see their point. So in one respect, they did a good thing by forcing the textbook publishers to be more accurate and aware of the educational needs of their audience. Unfortunately, the Gablers took it too far. They weren’t satisfied with just correcting inaccuracies in the textbooks. They also insisted on forcing conservative ideology into the books and censoring things that they did not like such as coverage of Vietnam or Watergate or Evolution. But the success they had in these areas also forced liberal groups to get active in textbook editing to counter their more extreme efforts, so perhaps in that respect their overall legacy was a positive one. When that happens, it will be a sad day in journalism. OK, so I wasn’t really back so much. Just as I was getting caught up on work from my last vacation, I ended up taking another short vacation when my brother-in-law came to town with his family. We’ve had a lot of fun the last few days going to Natural Bridge Caverns, the River Walk and the San Antonio Zoo. Then we took turns babysitting each other’s kids so that the couples could go out and do things like eat at nice restaurants and watch movies in real theaters. My other brother-in-law was in town too for Army training and was able to drop by one evening for dinner. So we’ve had a good time, but now it is finally time to get back to business. And this time I mean it! Really.